Have you been looking for a compact sedan that can fulfill all of your driving requirements with ease? If so, pay Charlottetown Toyota in Charlottetown, Prince Edward Island (PEI) a visit. 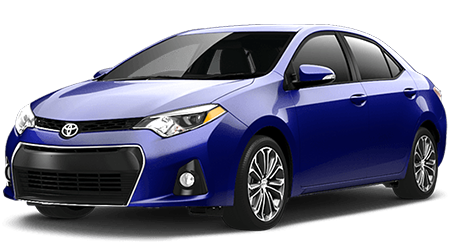 At our dealership, motorists can test drive a large array of new Toyotas that we carry in stock including the 2016 Toyota Corolla. As one of Canada’s premier Toyota dealerships, we have served PEI for a number of years with a sizable assortment of Toyotas. Visit Charlottetown Toyota at 1 Superior Crescent and discover a new Corolla today. 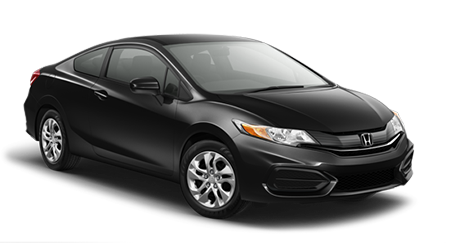 There are a lot of amazing options in the compact sedan segment, so let’s compare the 2016 Toyota Corolla against the Honda Civic. If you’re searching for a compact sedan that can save you money on fuel, then the new Corolla is the best option. With the Corolla’s excellent fuel economy, you’ll be able to save money on fuel and enjoy not filling up on a weekly basis. The Corolla’s 1.8-L four-cylinder engine is capable of getting 8.4L/100 km and 6.4L/100 km (city/hwy). In comparison, the Civic’s 1.8-L four-cylinder engine can return 8.6L/100 km and 6.6L/100 km (city/hwy). While compact sedans aren’t recognized for their spacious interiors, but the Corolla can provide you with a smooth and comfortable ride. The Corolla offers its passengers with 97.5 cu. ft. of interior space, while the Civic possesses 94.6 cu. ft. of interior space. In addition to having more interior space, the Corolla can also hold more cargo at 13.0 cu. ft.
To allow you to enjoy driving the compact sedan on a routine basis, Toyota backs the new Corolla with an extended warranty. The Corolla comes with a 5-yr./60,000-km basic warranty, a 5-yr./100,000-km powertrain warranty and 5-yr./unlimited-km corrosion perforation warranty. With the compact sedan’s lengthy warranty, you can enjoy driving the Corolla everyday. If you’re searching for a compact sedan that can save you money on fuel, then check out the 2016 Toyota Corolla. With the Corolla’s fuel-efficient powertrain and spacious interior, the Toyota has the edge over the Honda Civic. Stop by Charlottetown Toyota in Charlottetown, Prince Edward Island (PEI) at 1 Superior Crescent and explore a Corolla today.